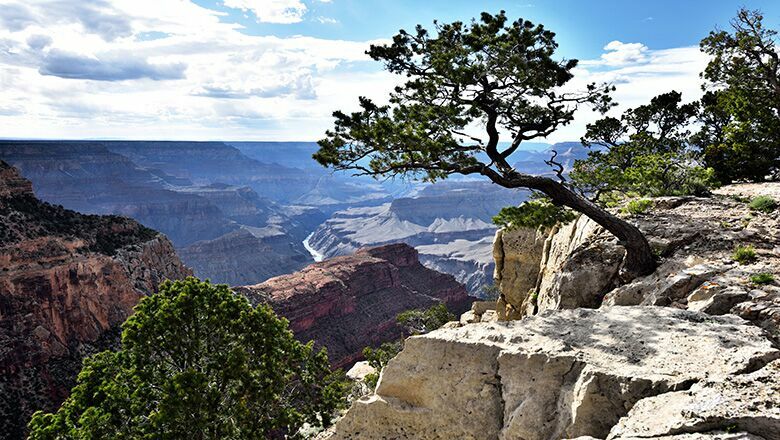 If you want to see the Grand Canyon by bus, now is the time to do so, especially if you have planned a trip to Vegas. This journey offers the ideal way to escape from the excitement that is Vegas for a day and see some interesting wildlife up-close. Animals in the Grand Canyon represent a diverse mix, and can be found in forested and grassy areas as well as high above the Canyon on rocky and precipitous terrains. For example, you can spot desert big horn sheep in the park among the rocks. That is because the sheep love jumping, climbing, and walking on a rocky terrain. You often will see the animals using their sure-footedness around sheer cliffs and along rocky perimeters. In fact, among the animals in the Grand Canyon, the sheep seem to adapt the best to the landscape. The agile animals like to clamber up rock faces and make good use of their padded hooves. The padding enables the animals to scale the rocks without injury. Sheep also possess good eyesight – a trait that keeps predators, such as bobcats and mountain lions, from getting too close. At one time, bighorn sheep numbered about 2 million in North America. However, only about 25,000 North American big horn sheep remain today. About 4,000 of the desert big horn sheep—a subspecies—lives in the Sonoran and Mohave deserts. In the Canyon, the desert big horn sheep often are seen among the steep slopes and rocky cliffs that appear above foothills. You can also see the sheep near the Hoover Dam if you choose to take a Hoover Dam bus tour. Wherever you go in the Grand Canyon, you will discover wildlife you rarely see at home. Some of the indigenous animals in the Grand Canyon include canyon bats, cottontail rabbits, mountain lions, elk, and mule deer. You can also see raccoons near campsites and ringtail cats, with their mouse-like ears, among the rocky slopes. Check out the “Albert” squirrel that lives in the South Rim, as it displays a reddish-grayish back, tufted ears, and a fluffy white tail. Golden mantled squirrels also appear in the park, which closely resemble chipmunks. Some of the animals in the Grand Canyon that represent avian species include bald eagles, California condors, golden eagles and red-tailed hawks. You can also find wild turkeys, turkey vultures, and reptiles, such as Grand Canyon rattlesnakes and collared lizards. Remember the rattlesnakes are poisonous, so keep your distance if you hear or see this snake.